Each year we undertake a survey to seek feedback from residents on their satisfaction with services like water supplies, roads, community facilities and rubbish collection. In 2018 the survey was carried out in June and July by independent research company Research First, and surveyed 421 people using telephone, cellphone and online surveys to provide a statistically representative sample of Selwyn’s population. Residents’ overall satisfaction with Council services has remained largely unchanged from 2017, with 69% of respondents rating our overall performance as good or very good – similar to last year’s result of 70%. This continues a long-term trend which has seen the overall performance rating increase steadily from 58% in 2013. 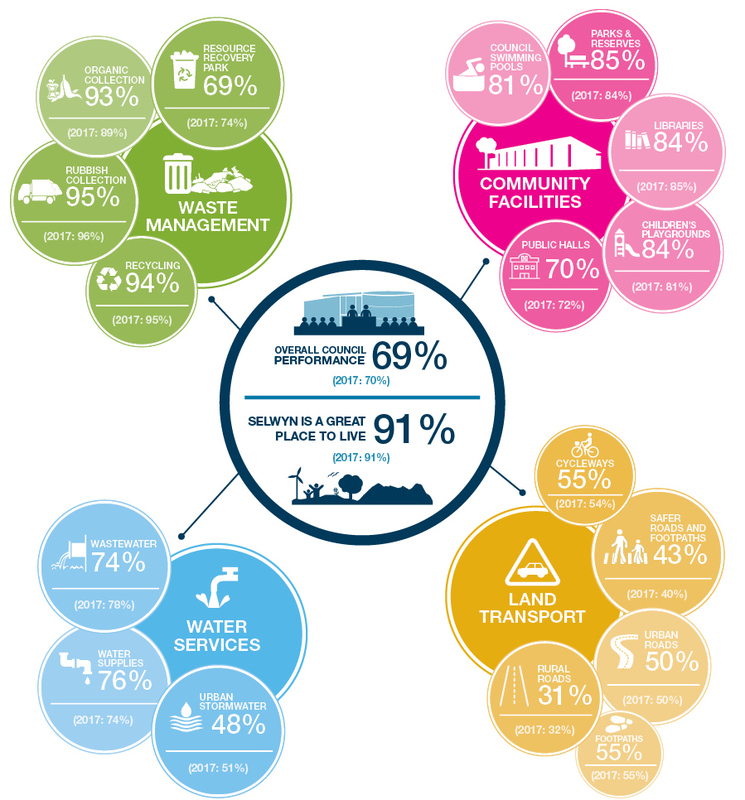 Among the services that respondents rated most highly were rubbish collection (95% rated good or very good), recycling (94%), parks and reserves (85%), libraries (84%), and water supply (76%). Across the 24 different Council services surveyed, the biggest increases in satisfaction were recorded for organic waste collection (up 4%), making roads and footpaths safer (up 3%), and playgrounds (up 3%). The Council’s 2018 annual residents survey also shows that 91% of people surveyed agreed that Selwyn was ‘a great place to live’ – the same proportion as last year. Read the full residents survey results [PDF, 1812 KB]. This survey provides the Council with valuable feedback on how we’re doing each year, and highlights areas where we need to continue improving services. These results will be taken into account as the Council works on priorities for the coming years. The Council is continuing to invest in maintaining and improving services. Current and planned work in transportation include an increased programme of seal widening and extensions, an active programme of road maintenance, renewals and resurfacing, extending the district’s footpath network, building new cycleways and intersection improvements, along with roading improvements to link with the new Christchurch Southern motorway extension. Water quality improvements and treatment upgrades are under way at several water supplies across the district. Expansion of the Eastern Selwyn Sewerage Scheme and the Ellesmere Wastewater Treatment Plant are programmed, and major stormwater projects are scheduled across the district, with key projects in Leeston and Prebbleton. Work will begin during 2018/19 on an extension to the Selwyn Aquatic Centre and new indoor courts at Foster Park. 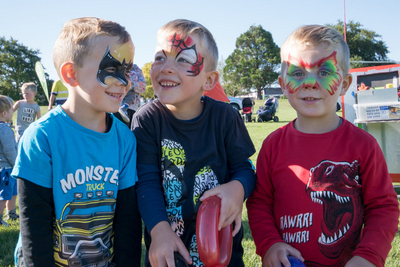 The Council is developing new community centres at Hororata, Leeston and Prebbleton over the next 10-year period, as well as continuing earthquake strengthening of community halls, and upgrading facilities at other centres. Investment will continue in developing reserves, playgrounds and streetscapes. More detail on the Council’s current and future work programme through to 2028 can be found in our Long-Term Plan 2018-2028.